I had some fun with a list that crossed my social media sphere. It’s basically a rant against anti-immigration types that points to many “foreign” goods they might consume everyday. While it’s very PC and OK to share, it didn’t stop me from picking it up and play around with it … for science. I tried to familiarize myself (again) with Android development. I found the virtual devices in Eclipse … well … not performing enough. 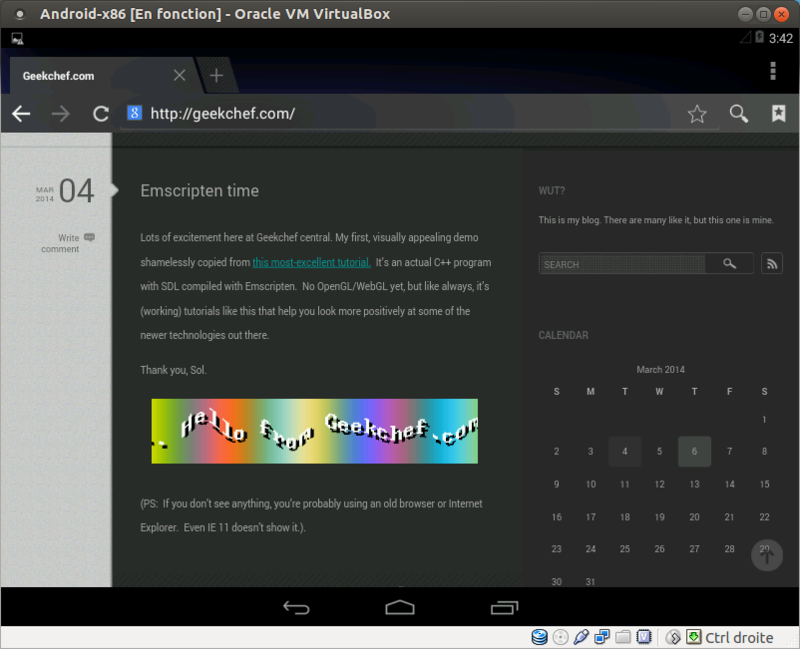 So I tried using the Android-x86 project into VirtualBox box and it worked well. And I couldn’t resist seeing my own web site through the eyes of my new “device”, running the Emscipten code from my previous post flawlessly.